Creating your marketing and PR plan is not as hard as you might think. Especially if you work through some of the basics first. Setting measurable goals, developing a clear strategy, creating compelling key messages, and then working through tactics and timelines to produce clear results is pretty straightforward. But we all know that sometimes the best plans are beset with obstacles, and you need the right tools to help you clear that path to success. Here are five tools to help your small business marketing and pr execution a lot easier. Google Analytics is the must-have tool of the bunch. Without some way to measure your web traffic, where visitors are coming from, what pages get the most visits or clicks, and more importantly – which of your tactics are driving that traffic, you really are flying blind. There are other good analytics programs, but Google is a) free and b) plenty robust for almost anything you would need. One of the best ways to get up to speed on Google Analytics (or GA) is to go through their online, self-taught academy. This platform has different levels of instruction and small, easy-to-accomplish lessons that you can work through on your own time. If you are interested in measuring the success of your small business marketing and pr, you have to start here. The second tool that we recommend to all our clients is Canva. This is an online app that makes graphic design easy and quick. Canva is a straightforward design program that comes with templates perfectly sized for Facebook posts, Instagram photos, email headers, web ads, and even e-book covers. In an environment where visual content is an essential complement of any campaign, Canva is intuitive and user-friendly. Designs can be exported into several different formats and the paid version has even more features that will make your life a lot easier. Other services to check out are Piktochart for infographics, and Pixelmator offers a lot of full design software capability at a lower price point than the Adobe Creative Suite. Many organizations have an email service of some kind, but few use their email platform as effectively as they could. Research indicates that email, while not the newest marketing tool, is still one of the most effective means of reaching and converting your prospects. There are dozens of email services out there, and most are comparable to each other. For your small business marketing and pr, you will want a service that allows you to white-label the email. This means no annoying logo (cough, cough, Constant Contact, cough) at the bottom of the email. It simply conveys a level of professionalism and sophistication when your email is owned by you, not just “rented” by you, with another company name at the bottom. The best way to find the email program that will work for you is to just try out their free or trial plan. Check out the design features, list management, and of course, cost. You’ll find several good options. For a starting point, Mailchimp is a good place to start for simple emails and basic lists. Campaign Monitor has some more robust features and nice list management options. Active Campaign is an advanced service that will do almost anything you need, including sophisticated marketing automation. 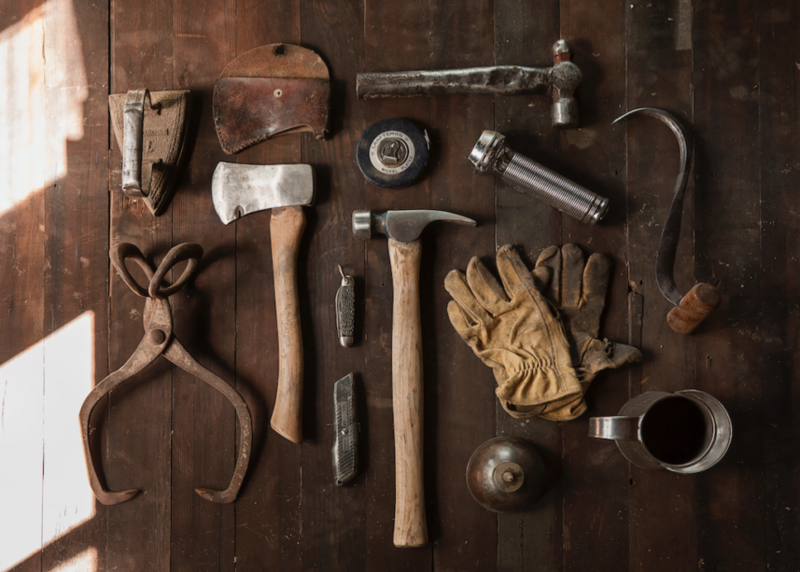 No list of tools would be complete without addressing social media tools. While there are tons of choices out there, many of them have either limited or over-the-top feature sets. For most small organizations, a simple tool like Buffer can make scheduling social media posts for your small business marketing and PR a breeze. This tool can schedule posts to multiple social networks in just a few moments, and you can set your own posting schedule for several days or even weeks in advance. The user interface is simple and straightforward, and if you are sharing a link from your blog or another online source, Buffer will even give you a series of options for images to attach to your social media post. Other good options to consider are Hootsuite, Coschedule, and if you want reporting options included, SproutSocial. Responding, commenting, or sharing news stories, content, or social posts can be a powerful way to build online relationships with your target audience, influencers, or to expand your community. This task is made much easier with tools such as Google Alerts, Talkwalker Alerts, and RSS Readers like Feedly. While there are lots of super-powerful (and expensive) tools like Cision can monitor media, often the simplest solutions are the best. Google Alerts can be set up to email you at every new mention of your targeted keywords found by the search engine. Talkwalker Alerts perform a similar function, and some say it’s quicker and offer better coverage than Google. Whether you are monitoring your brand, your competition, or just a topic of interest, these news alerts can keep you up to speed in the information age. Collecting your favorite news, content, and influencer sources can be time-consuming, but an RSS reader like Feedly makes it easy. Simply drop in your favorite blogs, news sites, or other content and it will automatically pull the RSS feed from that source. This can be great material for social media posts, earned media commentary, or ideas for the content of your ownsmall business marketing and PR. Best of all, many news alerts services will filter into your Feedly stream so you can monitor everything in one place!